A production acquires the Suspended status if, at the end of the shutdown sequence, some queues still contain synchronous messages, waiting for a response. Depending on how the production has been designed, this may or may not indicate a problem. If you suspect a problem, see “Correcting Production Problem States,” later in this book. Troubled A production acquires a status of Troubled if InterSystems IRIS is stopped but the production did not shut down properly. See “Correcting Production Problem States,” later in this book. A production includes a number of business hosts that communicate with each other (and with external systems). A business host is responsible for some category of work. For Electronic Document Interchange (EDI) formats, InterSystems IRIS provides specialized message body classes that represent the message as a virtual document. 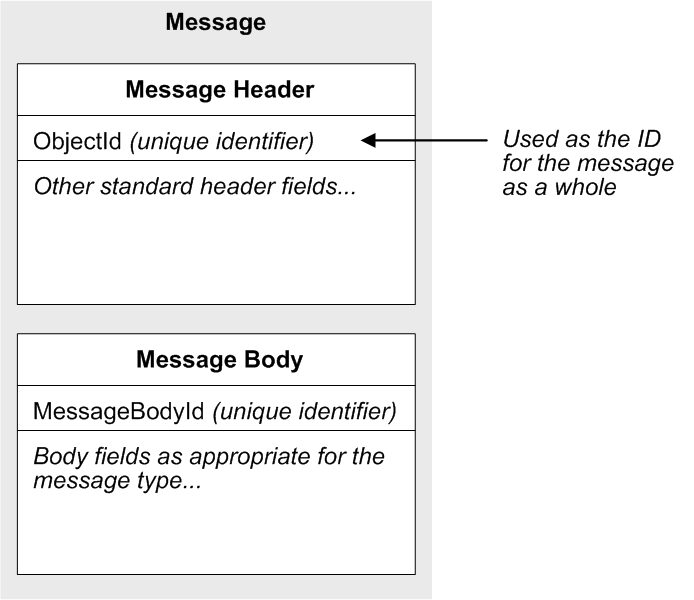 In this case, the message body does not contain fields to represent data in the message. InterSystems IRIS provides alternative mechanisms for accessing that data. For an introduction, see Using Virtual Documents in Productions. Every message is associated with a specific session. A session marks the beginning and end of all the activities prompted by a primary request message from outside InterSystems IRIS. Sessions are useful to you because they give you an easy way to see sets of related messages; the Management Portal provides an option for visually tracing the messages, and you can filter this display by session. The following shows an example. 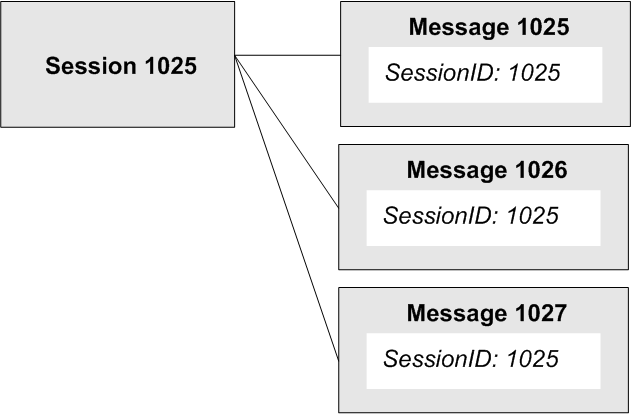 Note that (unlike the example) the message IDs within a session are unlikely to be sequential in a production that has many business hosts. When creating a new message, InterSystems IRIS always uses the next available integer as the message ID. The message creation time stamp. For Queue messages, this is when InterSystems IRIS placed this message on the queue. For Inproc messages, this is when InterSystems IRIS called the Send method. The message processed time stamp. InterSystems IRIS sets TimeProcessed when the message is taken off of the queue but then resets it to the current time while the message is being processed. Typically, for a completed message, it represents the time that the message processing was completed. The business hosts process messages by means of jobs. A job is a CPU process that hosts the work done by a production. This terminology is intended to avoid confusion between CPU processes (“jobs”) and business processes (“processes”). In general, a job is either running (processing a message) or it is not running. From a low-level, system viewpoint, a production consists almost entirely of jobs waiting to wake up to perform work. For further information, see “Pool Size and Actor Pool Size” in Configuring Productions.